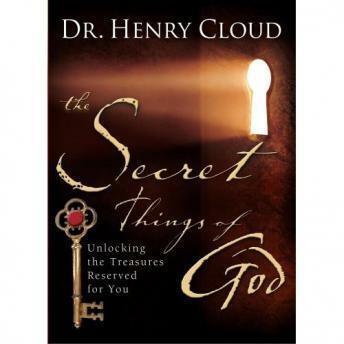 A positive Christian alternative to the bestselling The Secret, Dr. Henry Cloud reveals the 'secret things of God' -- secrets about God, about happiness, about relationships, and about your purpose. These tested spiritual truths reveal principles that make life work. With millions of copies of The Secret in print, countless listeners are left wondering how its teachings fit with the truths found in Scripture. Though many teachings in The Secret may have shocked those of the Christian faith, believers have also been reminded of the deep spiritual hunger that exists in all of us -- the desire for a power beyond the human, to work change in our individual lives. Even Christians who know and claim biblical truths often don't know how to use them. Dr. Henry Cloud shows listeners how to unlock the treasure of these truths, igniting their power in their lives.